You're probably aware of Florida's world famous natural wonders like its coastline, the Everglades, and its colorful coral reefs. Did you know, however, that Florida also houses an abundance of less publicized natural delights including one of the largest underwater cave systems in the continental U.S., a type of prairie found nowhere else in the U.S., and an ancient forest system perched on prehistoric dunes? 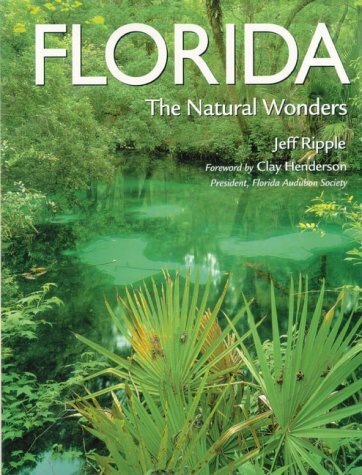 In Florida: The Natural Wonders, Jeff Ripple leads readers on an exploration of the entire state, acquainting them with the geology, ecosystems, wildlife, and weather, while explaining how to help protect Florida's natural treasures for future generations to enjoy. His spectacular color photographs bring readers face-to-face with wild creatures and breathtaking vistas, and capture the spirit of Florida as never before. Also recommended: The Florida Keys: The Natural Wonders of an Island Paradise, The Florida Everglades, Sanibel Island, Sea Turtles, Alligators & Crocodiles. Pictorial Discovery Guides from Voyageur Press provide focused coverage of popular destinations, landmarks, and heritage sites. Pictorial Discovery Guides offer an appealing combination of expert yet down-to-earth text and memorable color photography. 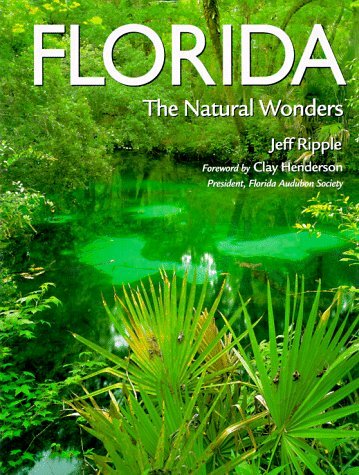 Jeff Ripple, of Gainesville, Florida, is a natural history writer and photographer who devotes his time to exploring and photographing the natural wonders of his home state. His other books include The Florida Keys: The Natural Wonders of an Island Paradise, and Sea Turtles.